Dynamic Digital Advertising, a pioneer web design company serving Philadelphia, Pennsylvania, New Jersey, and Delaware, provides script writing as part of the full range of video production services. DDA’s professional copywriting services provide informative and engaging scripts for professional website design, employee training, marketing, trade shows, and more. Increase your ability to promote products and services, improve corporate identity and inform through an effective script for your video. Videos are potentially powerful communication tools. However, their ability to reach their potential relies heavily on a well-timed, well-written script that is also effectively intertwined with visual footage. At Dynamic Digital Advertising, our in-house copywriting and videography departments employ talented individuals who work closely to produce a polished video for your company. Provide employees with training videos that engage their interest and help them retain more information. Training video scripts can be difficult to write on your own. You probably know your industry and business so well that what seems simple to you confuses a novice. Dynamic Digital Advertising’s professional writing services provide writers who script training videos so that they are tailored to the expertise of your audience. Clients provide writers with basic industry information as well as what they want the training video to cover. DDA writers work with this information to craft a script that enhances the learning experience. DDA writers also collaborate with the videography team to make sure that the script is in-sync with the video footage. Whether you need scripts to train new employees or videos to refresh the memories of long-time employees, Dynamic Digital Advertising will provide the entertaining and informative scripts your business deserves. Highlight your company’s products or services with corporate marketing and advertising videos that provide the information customers want. Dynamic Digital Advertising’s professional copywriters assess the needs of your business as well the needs of your audiences and then use this information to develop marketing and advertising scripts that hold a viewer’s interest. Marketing and advertising copywriting can provide more technical information or a more entertaining dialogue; the approach of our writers is impacted based on whether your marketing video is playing in your building’s lobby, at trade show, or for a group of highly-interested visiting colleagues. Promote your company, your products, and your services to trade show attendees. Video scripts for trade show videos must seize the attention of passers-by immediately. DDA copywriters carefully evaluate your industry, your business, and the type of person you hope to interest at the trade show. Then our writers craft scripts that attract attention, first to the video and then to your product or service and then to your trade show display. Since 1994, Dynamic Digital Advertising has been a leader in digital marketing and promotion technology. DDA has one of the first digital video production studios in the country and is one of the first to recognize the value of on-staff writers for video scripting as well as custom website design and development and of course natural search engine optimization for high search engine rankings. 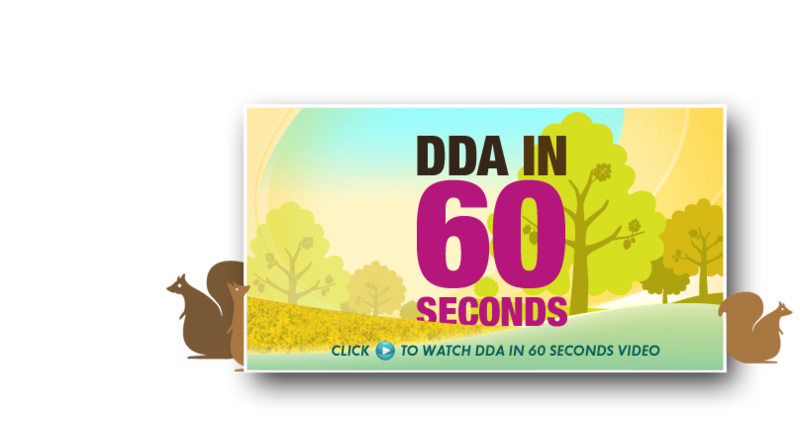 DDA is based in Bucks County, Pennsylvania in the greater metropolitan area of Philadelphia. DDA’s client base extends from Pennsylvania to New Jersey, Washington D.C., New York, Delaware, Maryland, and the entire United States. Organic search engine marketing and custom website design services are melded together to create a powerful promotional tool in Dynamic Digital Advertisings professional website design and development process. Complete with keyword research and world class design, these fourteen integrated steps construct an online business that earns high search engine rankings and reaps thousands of visits by targeted searchers each month. These steps ultimately lead to the development of a website that benefits your business by locating customers who are searching for your companys products or services via the Internet. To find out more about this exciting search engine marketing process, please click here. As Philadelphias top graphic design company, Dynamic Digital Advertising offers high-end, digital graphic design that encompasses a variety of marketing media. Multimedia CD-ROMs and DVDs, trade show graphics, graphic design print, corporate branding and marketing, and more, in the hands of DDA graphic designers, provide your company with better promotional tools. Trade show graphic design by Dynamic Digital Advertising provides trade show displays through booths, table covers, posters, backdrops, and more. Various types of print graphic design for brochures, business cards, direct mails, large format graphics, and more are often utilized by DDA clients at trade shows.